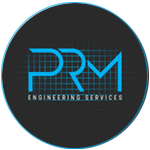 PlantMech / Premier Rock Machinery values the support of all our customers. We are proud to display images of our products when they are working in the field. Should you not wish for your company logo and equipment to be displayed in our gallery, please notify us accordingly.